I passed my C1 test today with no minors with just 2 full days training perfect test thanks to you guys, Neil was an excellent instructor, very chilled and great at breaking things down and going over the bits that I struggled with, hence the result, go with these guys if you want to get the job done! Passed my class C test last week after a weeks training with ETT. A really professional organisation. Robbo is a quality training instructor putting you at ease right from the outset. He trains you hard so the test seems that much easier. While Hayley on the office side is simply a first rate organiser, keeping you informed and sorting out any problems so you can focus on the training and your test. 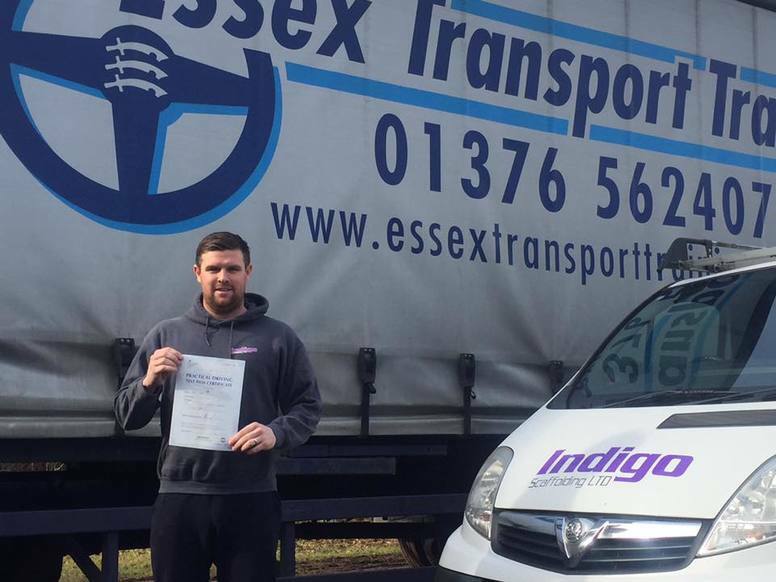 I would highly recommend Essex Transport Training, thank you team ETT. I have just completed my c class course and passed first time, this is down to the top training from robbo, the whole process was made simple for me from the start, the training was intense but I had a real good laugh and felt full of confidence on my test day. I can't recommend highly enough. Should I need another license I wont use anybody else, ETT really are the best. ETT! Simply the best and highly professional. I am only 19 and was very worried that my lack of experience would hamper me. But it didn’t Robbo was the best and Hayley in the office made everything so simple! The Beer Seller provide Wines, Beers and Spirits to retail outlets all over the country, and have a top class reputation in how they run their business. "I have used Essex Transport Training for over 20 years and I would recommend this company for the excellent training they provide"
"An exceptionally professional company who we have used for several years now, 100% top quality training is guaranteed"
Suffolk Fire & Rescue Service"
Having saved up all my hard earned money, I knew I could not afford to waste it therefore I did my research and chose Essex Transport Training to deliver my HGV driver needs. After a Mon - Fri course I must admit I was put through my paces but I felt ready for my test. My instructor was spot on and when he could not explain something for me to understand, he drew pictures on the white board and got his point through that way. A superb company and another happy customer. Do not delay, ring Essex Transport Training today. 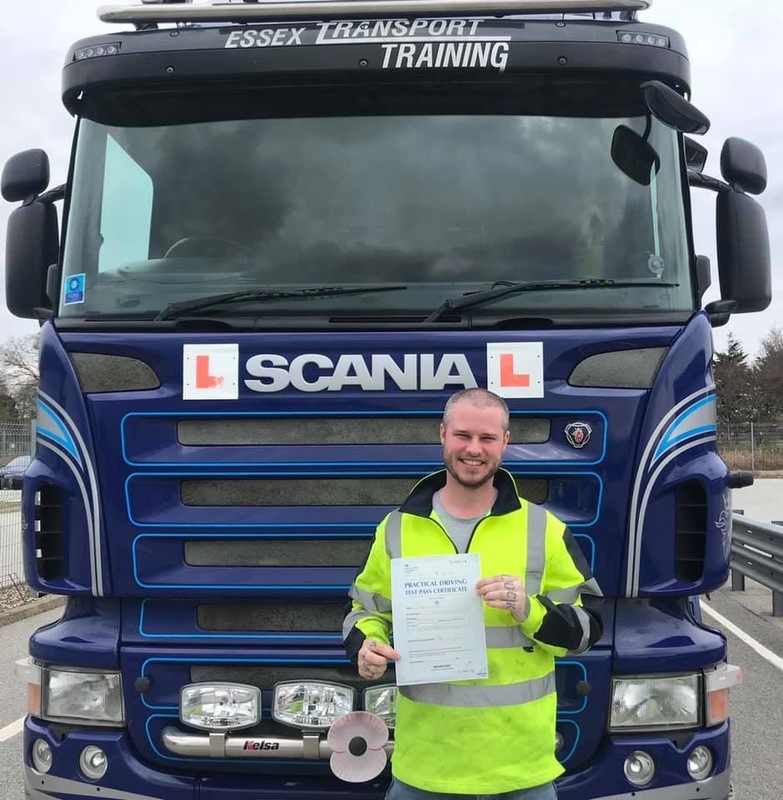 I conducted a C+E course with team ETT and passed with NO minors (no faults), I was trained very well and felt very comfortable driving the 18m Scania. My instructor was passionate, knowledgeable and very friendly. 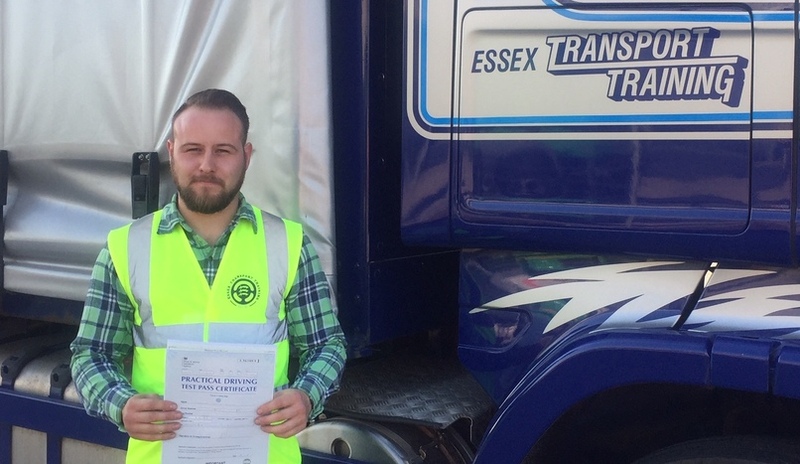 I can now start a new job on 45K a year thanks to Essex Transport Training and their amazing staff. Hayley in the office was exceptional and helped me with all my form filling in and everything else that I needed prior to getting in the lorry with big Robbo (who cannot sing very well). I loved my weeks training and I cannot wait to tell all my pals to train with team ETT. 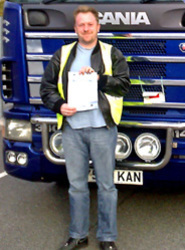 I conducted a driver assessment due to not having driven a lorry for ten years. Robbo took me out for two hours and looked after me ensuring that I was safe and ready for my new job on Monday morning. This is a family run business and they look after their customers, I will be back for my class 1 before the end of the year. Thank you Hayley and Robbo I appreciate your help and I will continue to fly the team ETT flag. More than just a driving company, they are passionate about their customers. 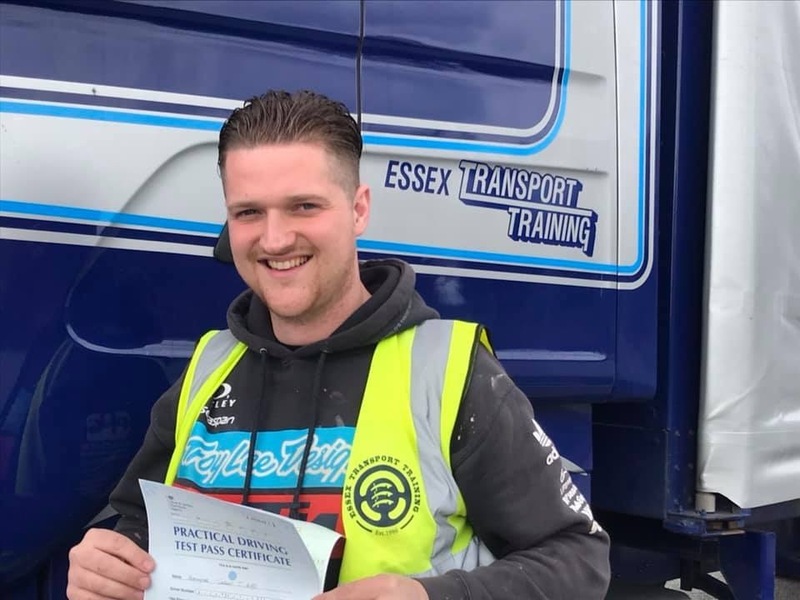 "I chose Essex Transport Training after speaking with some of my friends and family who have also picked this company to deliver their HGV/LGV driver training. A fun and friendly atmosphere were you will learn, but you will be expected to work hard if you are to pass first time. 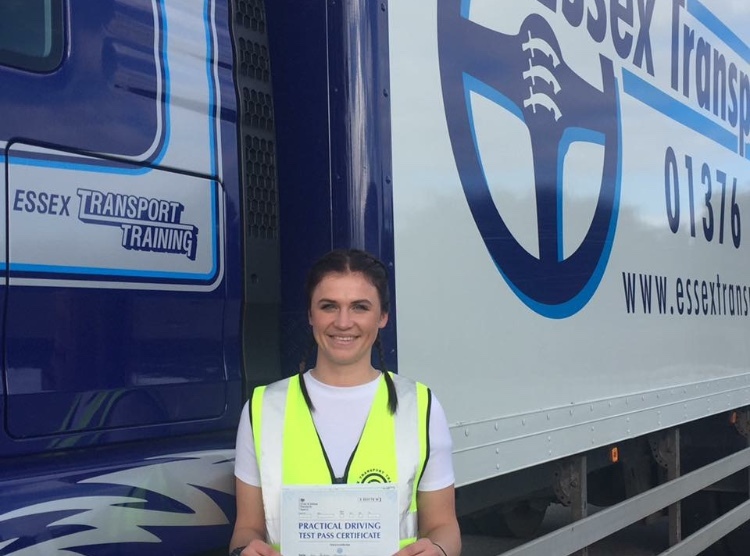 Robbo, Neil, Tony and Terry are all fantastic HGV/LGV driving instructors, but Hayley in the office is a complete star who will look after you from the start until the finish. Don't delay get booking today and experience the Essex Transport Training way." 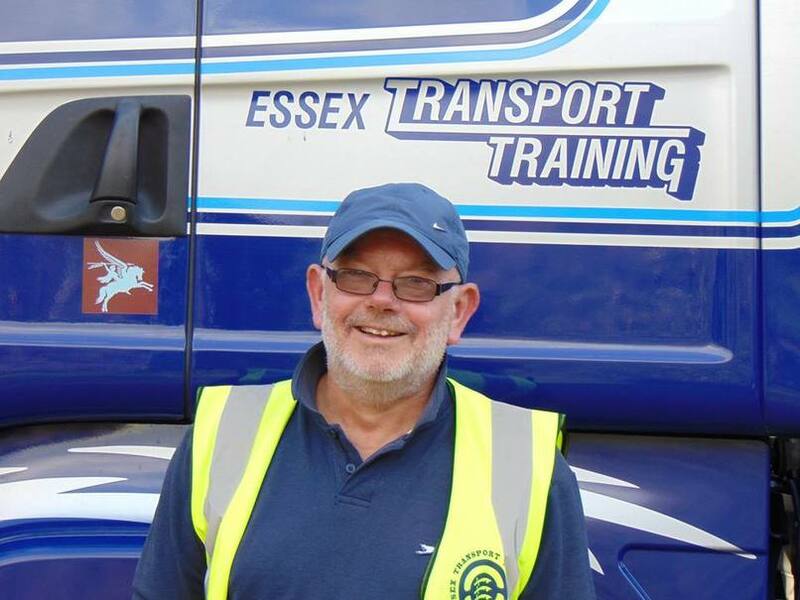 "Our business have chosen Essex Transport Training to deliver our HGV/LGV driver training for over four generations. A professional company with fully qualified HGV/LGV driver training instructors, trusted by our family company since the 1980's. Similar to our company they are also family owned and run, therefore customer care is their Unique Selling Point. A first time pass and an excellent week was had during my driving course, thank you Hayley and Robbo for everything." 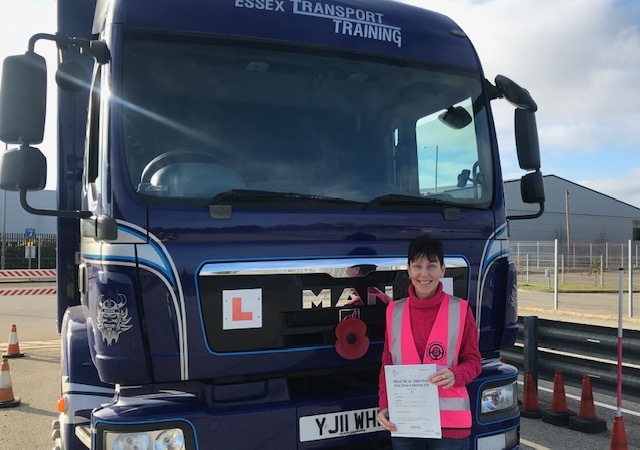 I chose Essex Transport Training because two people at my work passed first time with them late last year (2018). 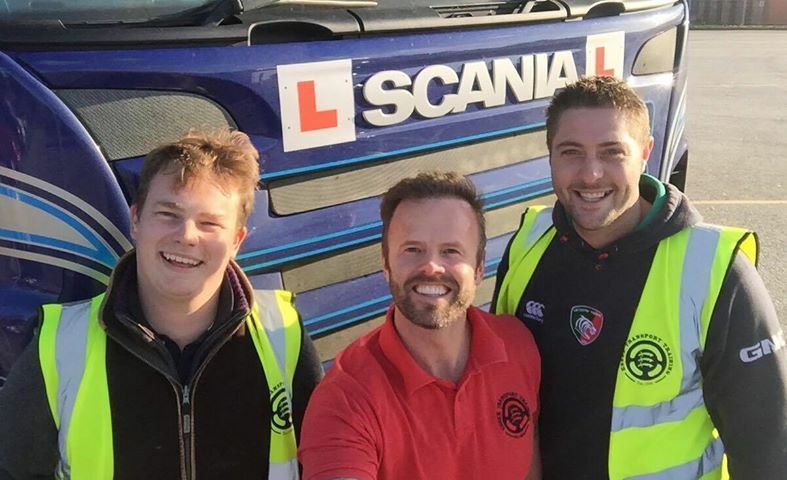 I had a tough but action packed week learning to drive a HGV with Robbo - I also passed first time therefore cannot fault this company - they are the dogs boll***s.
JBJ Pallets run a successful pallet company and have established trading on trust to its customers and the way it provides its service. 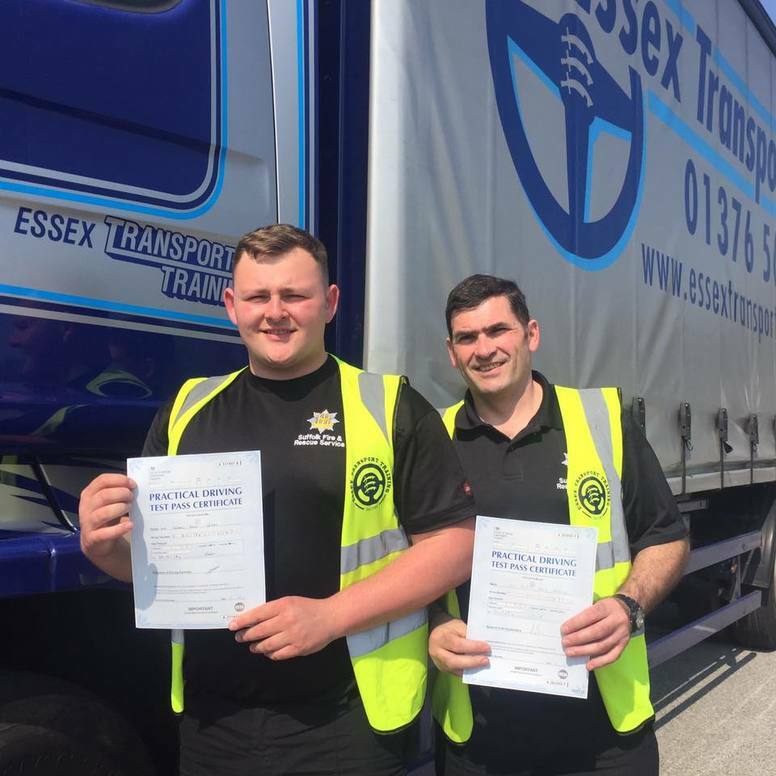 "We at JBJ Pallets use Essex Transport Training for both our Fork Lift and LGV training because of the top class training that they provide and the prompt service that they supply. Nothing appears to be too much trouble, I would highly recommend them"
"We use Essex Transport Training because they are the best in the county by a country mile, both myself the gaffer and my main man Roscoe passed first time with this outfit"
Training with Essex Transport Training was wonderful, the instructors are all fully qualified and work very hard to ensure that you are ready for your test. 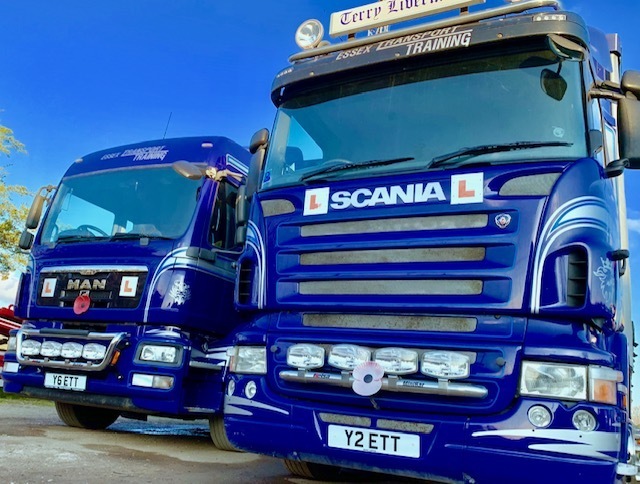 I was prepared perfectly to pass my test first time and that is exactly what I did, 100% recommend team ETT for all of your HGV/LGV driver training requirements. Having completed a HGV class C course with my best mate Scott, we both trained together with Robbo (Director) and we both passed first time. A real hard weeks work but some serious fun was had along the way. The reversing area is spot on and is theres so no one bothers you, the training and the lorries are all spot on and very clean and well maintained. This company could not have done anymore for me and Scott. We would recommend team ETT anyday before anyone else, train with the best. An amazing week training with Essex Transport Training, I was gutted it had to end. I passed my category C with them first time. I was trained very well and I was confident that I could nail it on the first go. The training was progressive but well delivered and for that I am thankful. "A top company, run by a top couple. 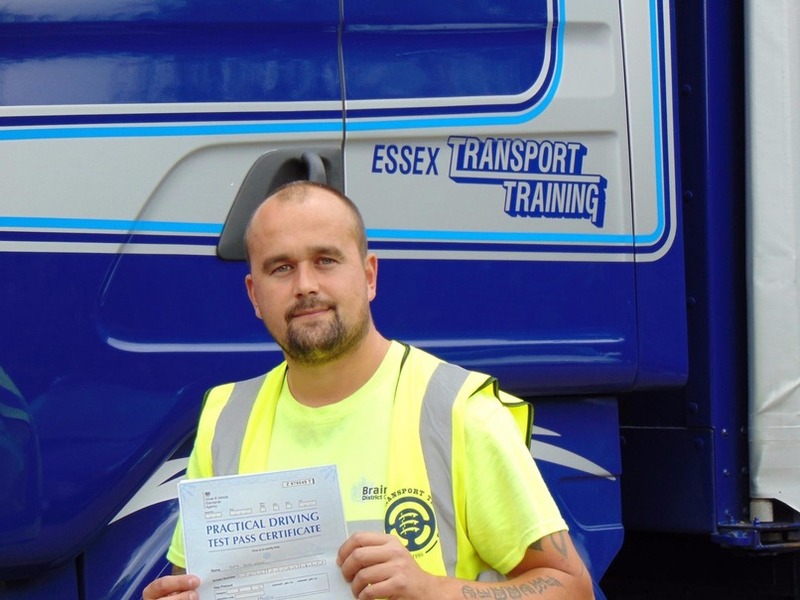 I chose Essex Transport Training due to a lot of my family and friends choosing them. I have had a blast with this company, everyone who works for them are qualified and want what is best for the student/customer. I am gutted it is now all over, I will be back for my C+E in good time. Thank you team ETT, I loved every minute of the training. 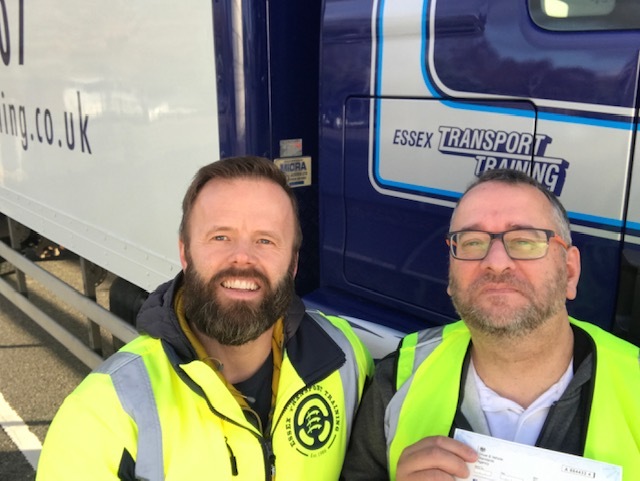 I even got a selfie with big Robbo :)"
"I chose Essex Transport Training for my category C1 7.5 ton training to enable me to drive my horses in my own horsebox. The training was delivered excellently and my instructor knew his stuff. He was approachable and fun to train with, this all ensured that I was relaxed and ready to pass my test first time. 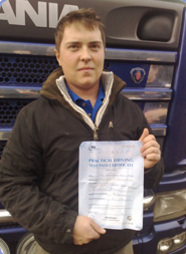 I cannot speak highly enough of this HGV/LGV driver training company. As they say, train with the best. " 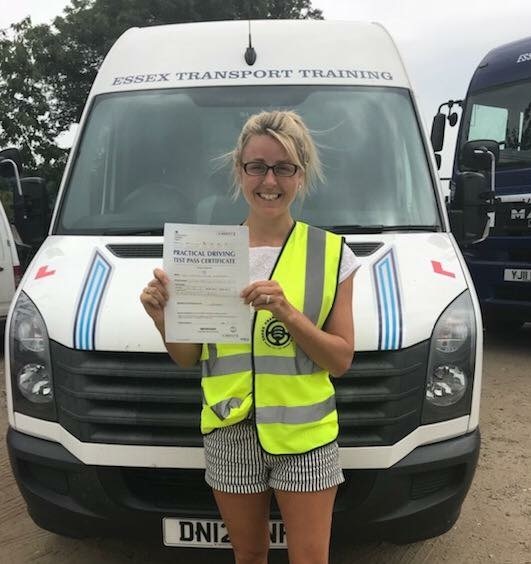 Essex Transport Training were the company of choice for me, from the first minute my phone call was answered by Hayley who quickly put my mind at ease with respect to the entire process. She ensured that all of my questions were answered and she held my hand through the process making it seem really simple to me due to me being so busy with running my own business. 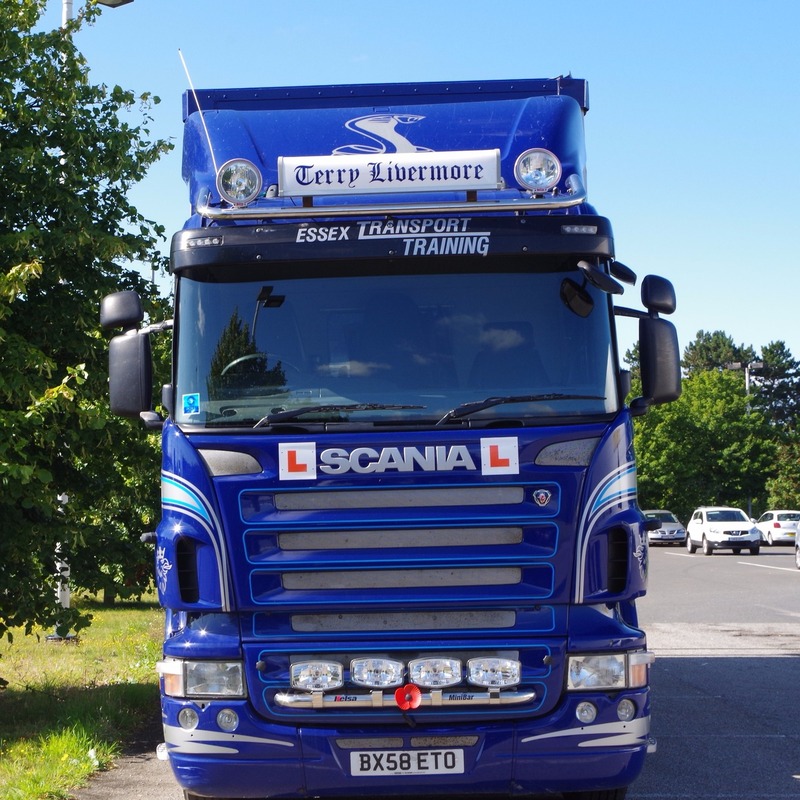 Once I had conducted all of my theories etc I was met by Robbo up at the lorry park, he introduced me to the SCANIA (King of the road) and taught me how to drive her perfectly. 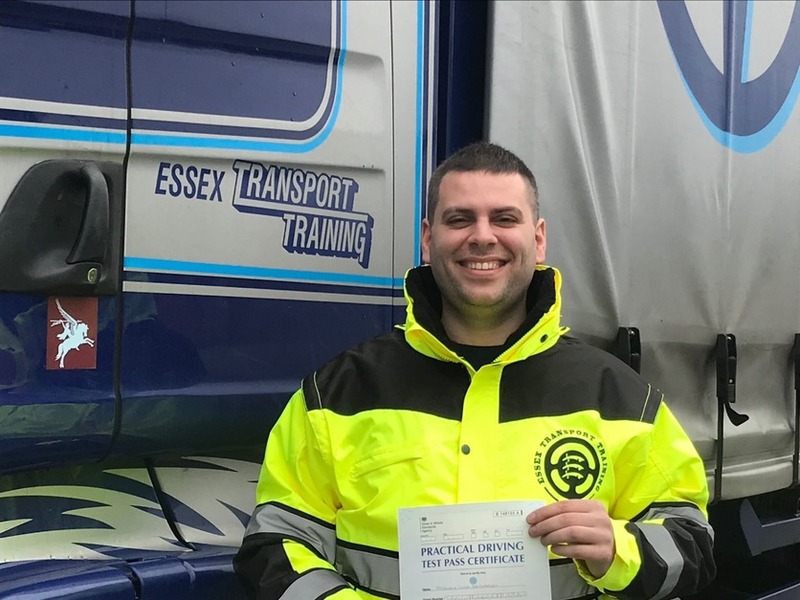 A weeks driving training and we were ready to test at Ipswich, Robbo had us prepared fully and it was up to us to make the right decisions out on the road with our examiner. Thankfully the roads were kind to me and I passed with a couple of minors, I really was prepared fully, if you listen and work hard you will give yourself the chance to pass first time. 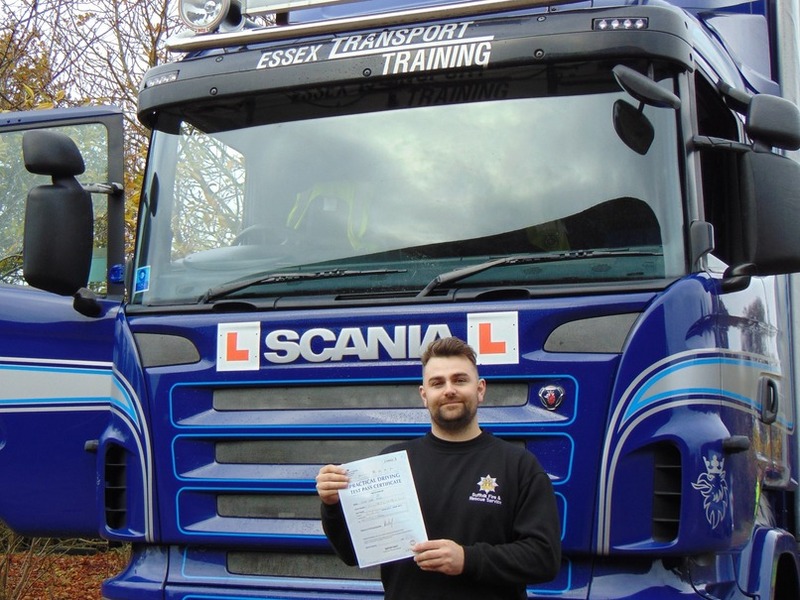 "I would like to thank Essex Transport Training for getting me through my HGV Class one and providing a friendly professional service. His years of experience were evident over the four days training I received as he conveyed his knowledge over to me. Terry from day 1 guides, trains and gives you the confidence you need in order to reach the required standard come test day." Fantastic tuition, friendly service and a professional attitude. Essex transport training come highly recommended"